Have you ever wondered what kind of impact your phone has on the environment or how you can be less wasteful and get the most use out of your phone? We use phones every day, and we want to help you spend less money, generate less waste and help preserve the environment. 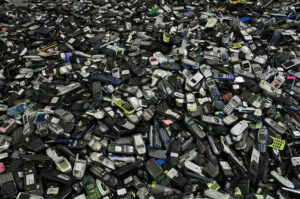 Phones require a vast amount of resources to be produced and are gathered and shipped from all over the world. The plastics and metals which are needed, e.g. for the chips, battery, and casing, have unfortunately a very negative effect on the environment. There are many different types of materials within your phone and as these are too many to list, you could write a master/PhD thesis about this. There’s a lot of information to be found on the internet, but for a short summary check out the flowing report by Fairphone . Here are a few facts about the environmental consequences of phone production. The average lifespan of a mobile phone is around 2 years . The estimated e-waste for 2018 is 50 million tons with an annual growth rate of 3-5%, “which is about three times faster than other waste streams” . A big problem is the lack of transparency in the supply chain, as major phone companies don’t (want to) know where their materials are coming from and can avoid responsibility. Another big problem is planned obsolescence. It’s economically beneficial for businesses if you buy a phone every year or two, so phones and software is not made to last. Now you know why you should save your old phone, but how do you do this? First and foremost don’t buy a new phone for fashion reasons, your old phone is just as beautiful. Be proud of how long you can last with a phone instead of being proud of having the newest. Is your old phone getting slower, then these tips might help! The less you use your battery the longer it will last, so dim your screen, turn of GPS, and get rid of that app which is always draining your battery. Don’t continuously keep your phone on a charger. Keep your phone away from heat. The most crazy tip, don’t use your phone as much. Read a book, or talk to the person next to you. Get rid of unnecessary apps. Delete your old photos and videos. Empty your download folder and empty your cache (Google it to find out how). If everything else fails, reset your phone. Just like a computer, resetting and reinstalling your operating system every couple years is a great idea for performance and preservation of your hardware. It’ll feel like you have a new phone. Ok, do you really need a new phone? It’s ok, it happens, but let’s think about how to get a phone which will serve you as long as possible! Get a phone which is guaranteed to get the next Android/iOS update or two, usually flagship models are supported for a longer time compared to other models. How easy is it to repair the phone? Check the internet and consumer guides for information about this. Can you replace the battery? The battery is the first thing which will degrade in quality. Does it have enough memory for you, or does it have a slot for an SD card? Think about your future needs. Check the company’s stance and practices surrounding environmental sustainability. Some companies are more open and conscious about their impact. Finally, recycle your old phone! 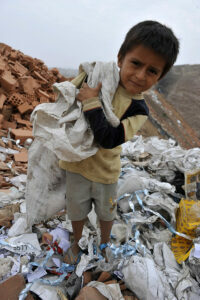 Bring it to an electronic waste pickup point, give it to a friend, or give it to charity. We hope these tips help you and that you learned something. Please share this knowledge with your friends and family, because change happens through all of us.